I worked long and hard for this recipe. For you. All for you. Frankly, I’m exhausted. But it was worth it. Because this isn’t a ‘good for a gluten-free cookie’ kinda cookie. This is a damn good cookie. And, to my gluten-free sisters and brothers out there, take comfort in knowing that I love gluten. So for me to approve, endorse, love and eat a gluten-free cookie, it’s a legit cookie, in the real cookie world. 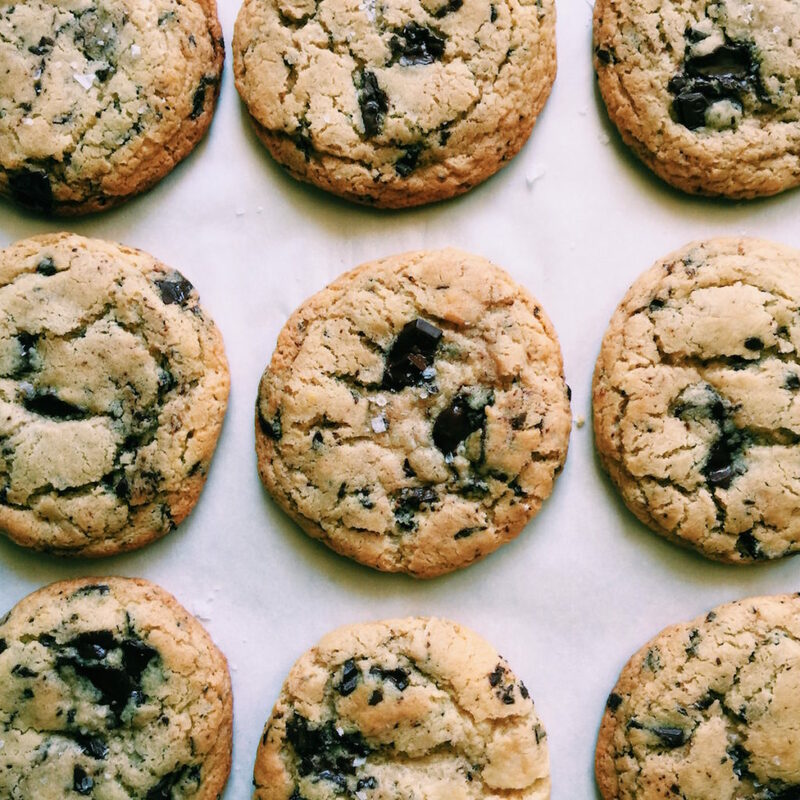 These have all the flavors of a classic chocolate chip cookie plus the texture: soft + chewy. Yum. 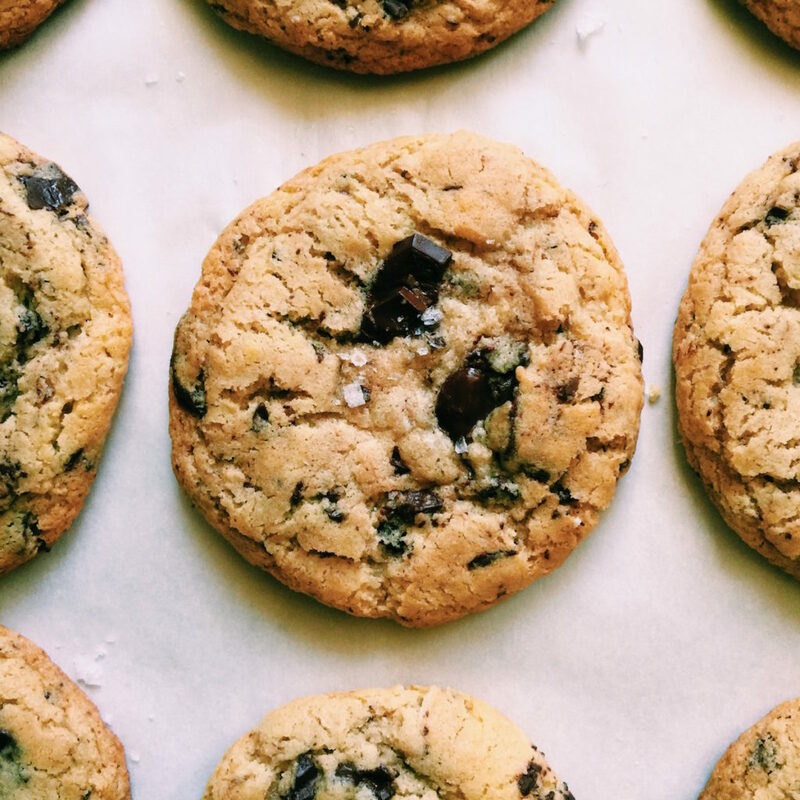 Make these gluten free brown butter chocolate chip cookies for your gluten-free betches or for when you want to de-bloat or for whenever you just want to do what all the other cool kids are doing. Flour. I am a firm believer in Cup4Cup. You will have the best cookie experience with this flour. My second runner up is the gluten-free flour that America’s Test Kitchen has you make from scratch. You can get the recipe here. This latter recipe had a wee bit of grit to it, but works great in a pinch. If you use another flour, I can’t guarantee the outcome, but I would love to hear about it in the comment section below. Butter. You must brown the butter! Browning the butter does several things. First, it gives this delicious, nutty and slightly caramelized flavor. Sometimes gluten-free cookies can lack flavor. True story. Second, it adds some girth to the cookie. I love girth. Lastly, and perhaps a bit superficially, it adds a richness in color to the cookie that makes it look as amazing as it tastes. I need to tattoo BROWN THE BUTTER on my forearm because I can’t tell you how many times in testing this recipe that I forgot to brown the butter and it makes a real difference. I’m not gonna kick the non-brown butter cookie out of bed, but it’s just not as satisfying. Resting your cookies. You have to, HAVE TO, let the dough chill in the fridge for a beat. Minimal amount of time is 1 hour. Ideal amount of time is 24 hours. You want to give the fake flour enough time to absorb all of the moisture and perform at its best. Chocolate. In any cookie, I prefer to have chocolate chunks to chips. They look prettier and I like the way they lace through the cookie. I have found with this dough it’s harder to make the cookies perfectly round with chips. Just a note. You do what feels right for you. Let’s brown our butter first. Put one stick of butter in a small sauce pan and melt over medium heat. Once melted, crank up the heat to medium high. Stand by, stirring and watching. This isn’t the time to go and put your dry ingredients together. Watch yer butter. Small golden bits will start to settle on the bottom of the pan. Once this happens, take it off the heat and pour into a medium bowl to cool a bit. Add the sunflower seed oil, brown sugar, granulated sugar, eggs, milk and vanilla to the browned butter once it has slightly cooled. Whisk together until thoroughly blended. In another medium bowl, whisk together the gluten-free flour, baking powder, baking soda and sea salt. Add the flour mixture to the brown butter mixture and mix completely. Add in the chocolate chunks/chips and continue to blend. You don’t have to worry about over-mixing because there’s NO GLUTEN!!! It’s exciting, isn’t it? Sometimes I give a couple of extra stirs just to give gluten the finger. The texture of the dough is a bit weird and the chocolate chips will sometimes resist combining with the dough. This is normal. Don’t sweat it. Lay out some plastic wrap on the counter. Dump the cookie dough on top of the plastic and wrap tightly. Now shove the plastic-wrapped dough into the fridge and forget about it. I mean it. Go do something else. Let it hang out in there for at least 1 hour, ideally overnight. When you’re ready to bake, preheat your oven to 375 degrees F. Make sure you have a rack in the top third of the oven. Cover your baking sheets with either parchment paper or a silpat. Roll 1 1/2 tablespoons of dough into a perfect like sphere. Place the dough balls on the covered baking sheet about 2 inches apart. Place in the freezer for 15 minutes. Take them directly from the freezer and onto that top rack in the oven and bake for 12-13 minutes. Once done baking, sprinkle with sea salt flakes (optional) and let cool completely on the baking sheet. Once they are cool, store them in an air-tight container. Also, gf cookies don’t last long. They get weird and dry. Fast. So unless you plan on eating all of them right away, I would consider freezing the dough balls completely and then placing them in a resealable freezer-safe plastic bag…that way you can bake them off fresh as you want to eat them. OK, I think we’re good. You’re welcome. No really, it was no problem. Was super excited that Epicurious picked one of my photos for their top Instagram photos of the week. You can see it here. Recently on DisplacedHousewife: Double Chocolate + Banana Granola, Pecan-Crusted Goat Cheese Salad with Blood Orange Tahini Dressing, Braised Datil Chicken with Olives and Oranges (made this again last night…love), Fluffy Pancakes, Blood Orange Scones, Loaded Aloha Cookies and Chinese Buns. The feedfeed has added some of my stuff to the Camp Cooking Feed, Staub Feed, Dinner Parties Feed, and the Muir Glen Feed. Check them out. Super excited with the Camp Cooking Feed. 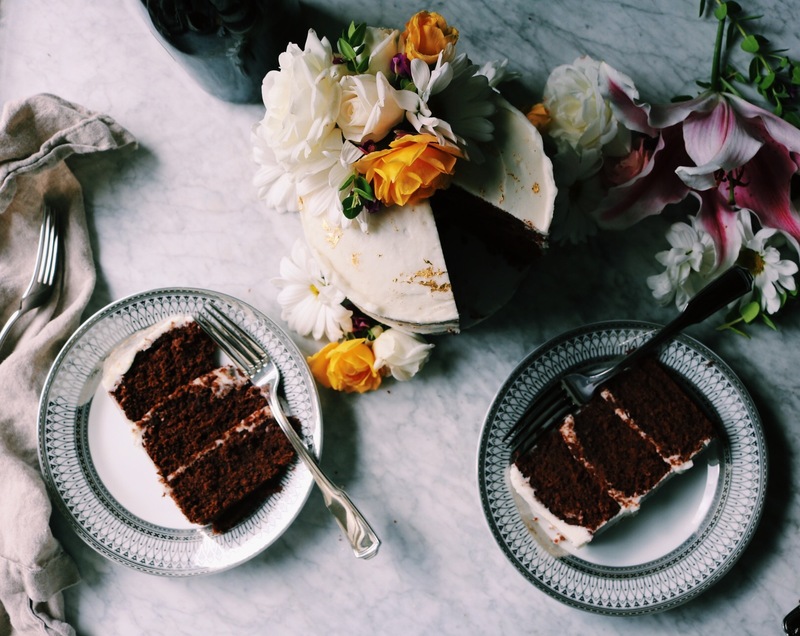 Also, check out the feeds that I edit: Sunday Suppers, Tacos, Scones + Vodka. 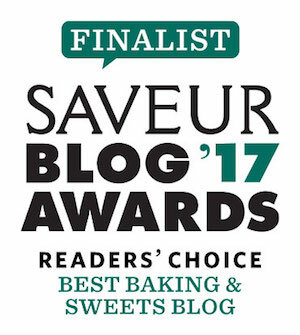 If you want to learn more about gluten-free baking, I can’t recommend enough the America’s Test Kitchen: Gluten Free Baking Book. It’s where I got the tips of adding milk for protein, resting the dough and lots of other helpful hints. And just an update…I just got an email today from the White House. Did you? It said that 320,000 of us signed the petition to get Obama on Bill Maher. There was no commitment as to whether or not he would go on the show, but I like the power of the people. Go petitions. Go free speech. Go democracy. Let’s drink more espresso and keep this party going! You will receive an email to confirm registration, be sure to click on the link. I promise not to sell or do anything nefarious with your email. Promise. Sooo… I couldn’t wrap my mind around 1/4 cup butter to 3 cups flour… then remembered that 4oz is a 1/2 cup. Sigh. Anyway, I used a combination of almond meal and my go-to gluten free flour – Canadian brand called Cloud 9 – and these turned out BEAUTIFULLY. (I typically do 1 part almond flour to 2 parts gf blend, as I find straight gf flour – at least this blend – to be very dry.) I’ve got a third of my dough baked and the other frozen in balls! THANK YOUUUUU! I just made a half batch of these and they didn’t flatten out much in the oven. In fact they look more like “puffs”. Still taste great. Overnight, they developed more of a cakey feel. Oops Forgot to ask my question. Could u think it’s too little butter? I didn’t change the recipe proportions though. Hi Amy! That’s curious…they should not be cake-y or puffy. What GF Flour did you use? 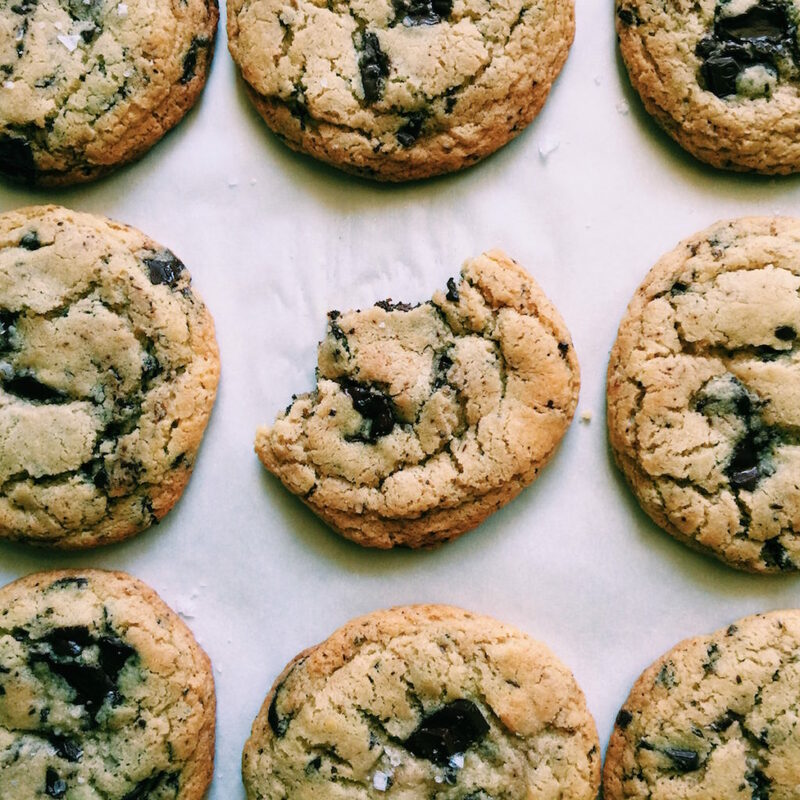 Would olive or avocado oil be an acceptable substitute for sunflower oil in these cookies? Hi! Just wondering, can I sub almond milk for the regular milk and get the same results? Trying to make these dairy free! looks amazing + been looking for a brown butter recipe! do I need to adjust anything if I want to sub either almond flour or regular bread flour? Thank you Shreya!! I haven’t tested this with almond flour nor regular bread flour. 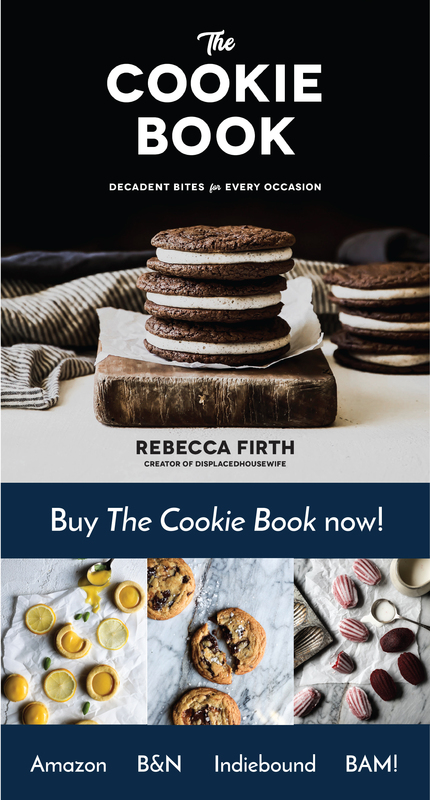 If you want a regular chocolate chip cookie with bread flour I recommend my chocolate chip cookie: https://www.displacedhousewife.com/?p=1860 …I love this recipe and have had lots of great feedback on it. 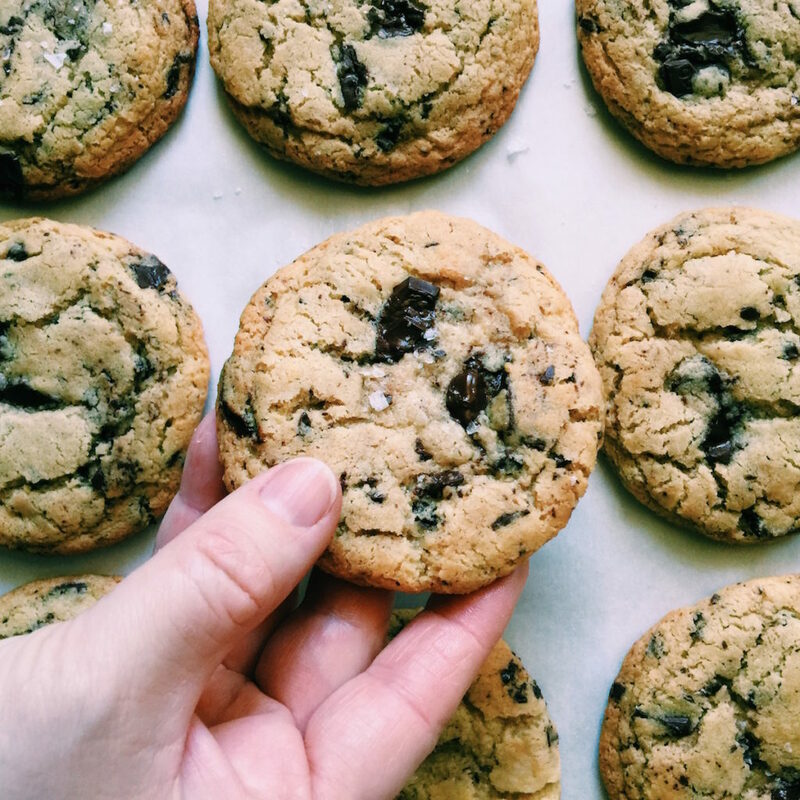 If you want a brown butter chocolate chip cookie (with gluten)…look up my Brown Butter Chocolate Chip Cookie…it’s one of my favorites! !